So I know I haven’t been the most blog active lately but that’s because I’ve been busy putting together a performance. This weekend I performed THE WAY OUT PLAYERS RIDE AGAIN or THE FASTEST PLAY IN THE WEST, a parody of melodramas for 3 actors. I was privileged to perform this show as well as write, direct, and produce (a challenging task I tell you) and got to perform with my brother and a very talented 13-year old actor, who stole the show and humbled me with his professionalism (with a day’s notice, he had his lines memorized), his willingness to do whatever asked, his stage presence, comic timing, and general good attitude toward everything. Way to go Nathan, and thank you again. This brings me to the point of this blog, some new changes! I have updated a few of the pages on my website, including the Video page, so check them out and look for those changes! 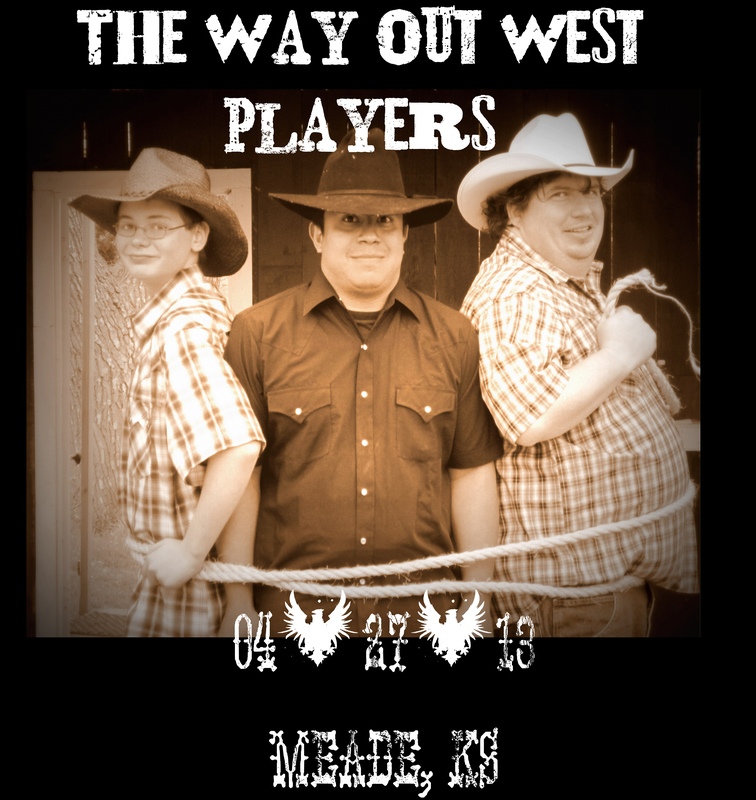 To conclude this post, a picture of…THE WAY OUT WEST PLAYERS!